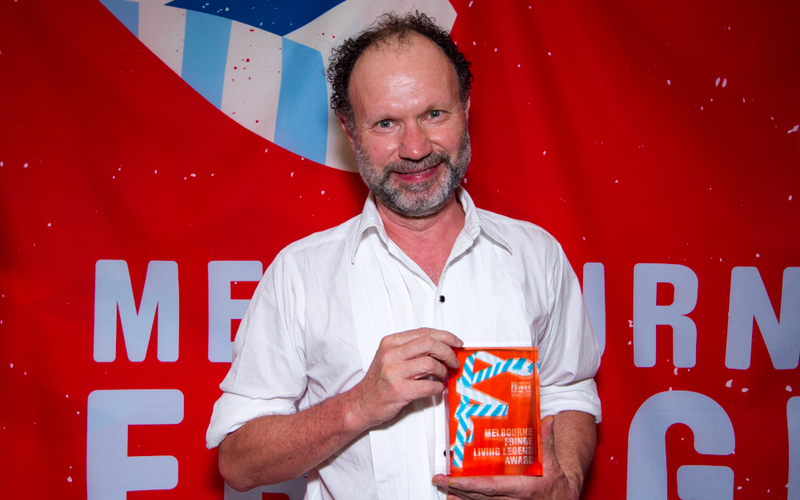 The winners of the 2015 Melbourne Fringe Festival Awards were announced on Saturday night as this year’s festival came to its record-breaking conclusion. Awarded across three categories – genre, professional development and touring – the 2015 awards recognise the quality and diversity of work that made up the 2015 Festival. Judged and awarded by a group of industry peers, this year’s awards saw a number of first time recipients (Kin Collaborative Inc, Slown, Smallened & Son and Vanessa Nimmo & Matt Rankin), as well as two events that took out awards across multiple categories (We May Have To Choose and HART). The Living Legend Award goes to an individual who has inspired and facilitated high quality work that provides an exemplar to the Melbourne Fringe community. The winner will have achieved a body of work that has raised the bar in Melbourne’s creative community, daringly shifted the focus of practice, ideas and debate, supported other artists to create innovative and unique work and provided leadership and service to the sector which goes above and beyond the call of duty. Best Cabaret: The Road to Shangri La, Mager & Smythe. Best Circus: No Punchline, Sara Pheasant. Best Comedy: Ghost Machine, Laura Davis. Best Dance: This is What’s Happening, Slown, Smallened & Son. Best Kids: Reasons To Stay Inside, Katy Warner. Best Live Art: The Ministry, Kin Collaborative Inc.
Best Music: Old Tech New Decks, Vanessa Nimmo & Matt Rankin. Best Performance: FAG/STAG, The Last Great Hunt. Best Venue: The Butterfly Club. Best Visual Arts: AS IF: 40 Years and Beyond, Australian Women’s Art Register. People’s Choice Award: wtf renaissance. Presenting 401 events across nine genres, the 2015 Melbourne Fringe Festival was the largest in the Festival’s history, supporting over 6000 artists to present work in over 160 venues. Ticket sales for 2015’s Festival topped the previous year’s record high levels. 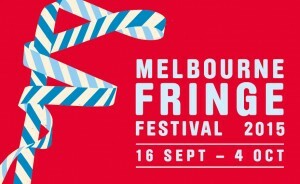 Registrations for 2016 Melbourne Fringe Festival will open in April 2016. Ian Pidd is a Melbourne based freelance director of theatre and festivals including Artistic Directorship of Back To Back, Green Room award nominated Minds Eye, along with ten years of works at Snuff Puppets. Ian has directed shows for The Business, Barry Morgan, Polyglot and many others. Ian has been the artistic director of festivals as diverse as Moomba and The Works and was for six years the Chair of Melbourne Fringe. He is co-artistic director of boutique festival The Village and was founding Artistic Director of Junction Arts Festival (JAF) in Launceston. For the last eight years he has curated the Village program and participatory works at all three Falls music festivals. Ian has an ongoing relationship with the creative community in Yogyakarta, Indonesia, where he has directed a series of large outdoor theatre works, as well has hosting a number of Indonesian artists on projects in Australia. Ian has sat on funding panels for the Australia Council, Arts Victoria, Arts Tasmania and the City Of Melbourne. Most recently Ian was one of the key artists in Dookie Unearthed (part of Region Arts Victoria’s Small Town Transformation project), is directing a large social dance project for Bleach Festival on the Gold Coast and is directing a super 8 animation project with young refugees in Melbourne.